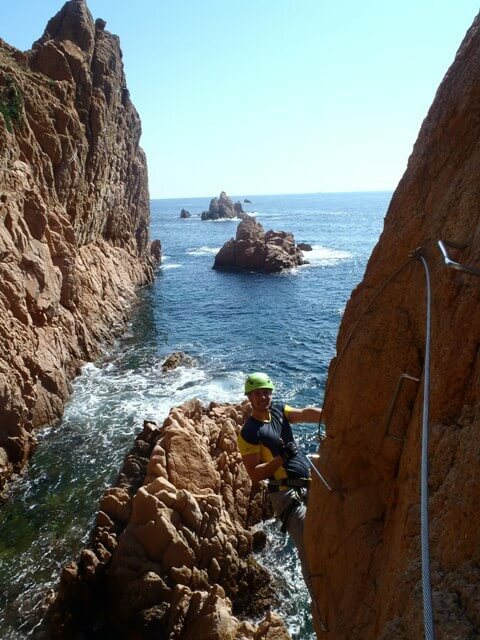 The day starts at the PaddleinSpain Centre Group – meeting in Sant Feliu de Guixols located on the shores of the Mediterranean Sea – Costa Brava. 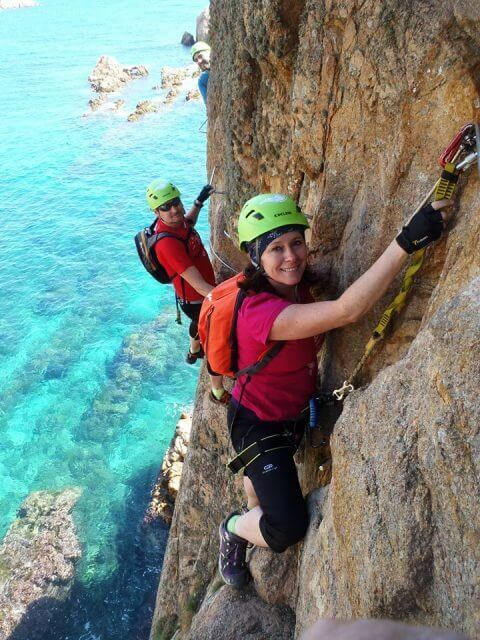 You will meet your instructors and afterwards we will drive to where the Via Ferrata takes place and once briefed you’ll be ready to get started, begining with some basic skill learing, you will be parctising the climbing techniques. 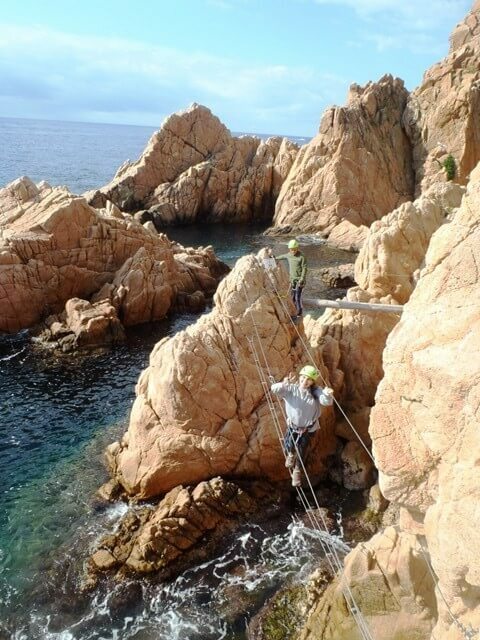 This Via Ferrata is set in a beautiful spot with great views. It has an unusual path and it’s not very exposed, so it’s great if you are not used to vertical rock walls.